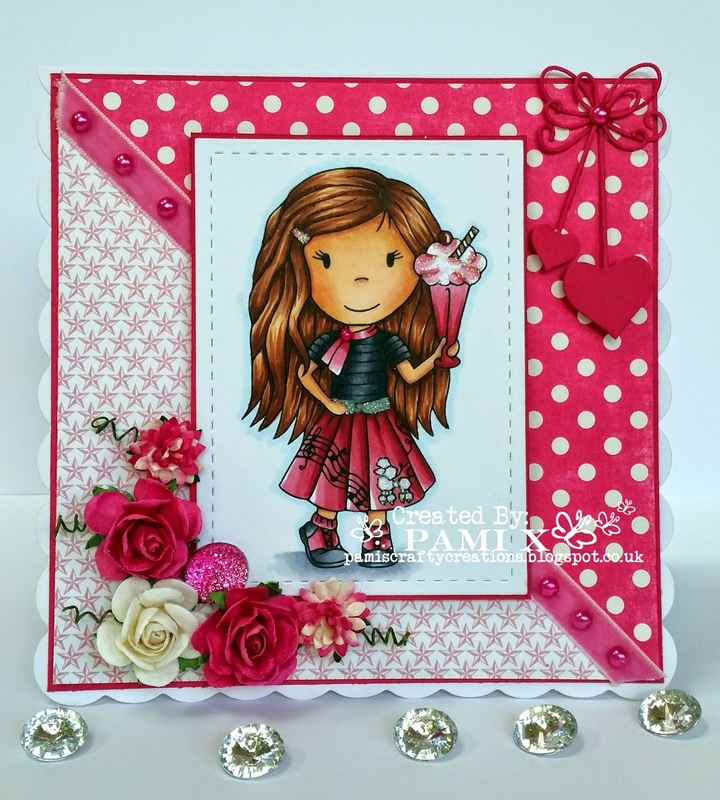 Its Pam here today to share some more inspiration with you! She is so gorgeous! She is coloured with copics and I have teamed her up with papers from Echo Park Everyday Eclectic. I added some mulberry flowers and gems to make it a pretty girly card! You can see all the details on my blog including the copic colours I used. Just before I go I just wanted to remind you all of the MarkerPOP and Paper Nest Dolls blog hop that is happening! Pop on over the MarkerPOP blog to start the hop. There are some fab prizes up for grabs! Thanks for looking and I will see you again soon. Gorgeous card! Love how you have colored her and designed the card.